Bringing together two seemingly disparate artists, Birmingham Museum and Art Gallery is currently hosting an interesting exhibition that features the work of both Andy Warhol and William Morris. Of particularly interest are Morris' Holy Grail Tapestries which form the centrepiece of the exhibition. Woven between 1895 and 1900, they tell the story of the search for the Holy Grail by the Knights of the Round Table. Considered to be one of the crowning achievements of the British Arts and Crafts movement, this is a must see for lovers of craft-based artwork. For more information on the exhibition, click here. 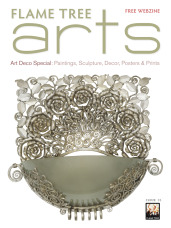 You can also see our stunning journal which features one of Morris' designs here. The work as much as any other reflects his eye for depicting crowded city scenes; the people squashed together until they seem compressed like matchsticks. This particular work painted in 1935 shows the arrival of an ambulance which draws an onlooking crowd. 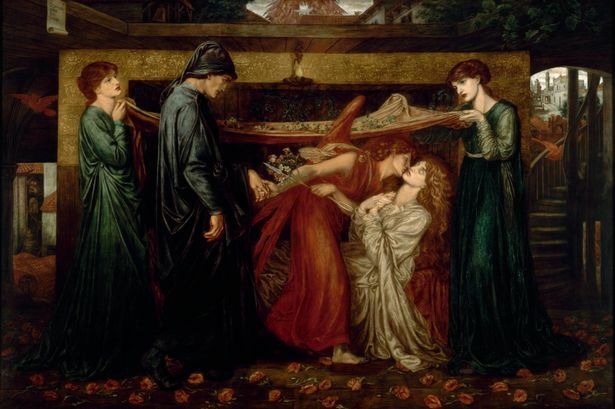 A ket figure in the Pre-Raphaelite movement, Rossetti's painting renders the dream of The Divine Comedy's hero. Using Jane Morris as the model for Dante's love this picture is considered the best example of Pre-Raphaelite beauty, the utmost standard of the many works Morris posed for. It's also interesting to note that Jane Morris is the wife William Morris, who is featured in the exhibition above. Learn more about what's on at The Walker Art Gallery here. Click the link above to read a glowing write up of The Clark Institute's Van Gogh exhibition. Packed with work perhaps unfamiliar with everyday Van Gogh fans, this body of work shows the magnificent way in which the Dutch artists conveys light in his scenes. "What’s exciting and instructive here is that we accompany Van Gogh on his path to these astounding late landscapes. The chronological show begins discreetly, in an almost subterranean vein, with paintings, prints and drawings in natural, somber tones by Van Gogh and landscape artists he admired, such as Théodore Rousseau and Charles-François Daubigny. We experience a variety of approaches and materials, as Van Gogh—largely self-taught—establishes his footing." Displaying how the artist brought together an array of influences and combined them with his own daring methods, this is a must-see exhibition for anyone that finds themselves state-side. The London Evening Standard has painted a less than flattering picture of street-artist's Banksy's latest installation. Terming it as an art version of 'clickbait' the dystopian theme-park is basically a string of selfie opportunities that reduces a wealth of potentially good ideas into over-simplified and crass pieces. Whilst at times subversive, seeing Cinderella in a car-crash is not quite enough to rescue this art installation. Read the full TES review here. For some truly fantastic street art, click here. We're huge art lovers here at Flame Tree. 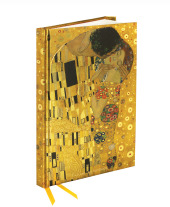 If you want to learn more about the world's greatest artists alongside high-quality reproductions of their most iconic works, you'll love our Masterpieces of Art series. Take a look at our books here.